2. 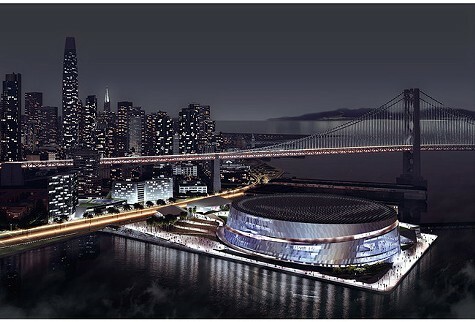 The owners of the Golden State Warriors are planning to put their plans for a new arena in San Francisco on that city’s ballot — likely in November 2014, the Chron reports. The Warriors are concerned that opponents of the proposed arena and proposed housing development might sponsor a ballot measure of their own following the successful defeat of another housing project planned for San Francisco’s waterfront. 3. Oakland Councilmember Libby Schaaf is eyeing a run for mayor next year, the Trib reports. Schaaf reportedly has been lobbied by supporters to take on Mayor Jean Quan in November 2014. Currently, the only other challengers are Joe Tuman, a San Francisco State University professor who finished fourth in the 2010 mayor’s race, and little-known port commissioner Bryan Parker. 4. Twitter’s wildly successful stock debut last week created more than 1,600 new millionaires in the Bay Area, the Mercury News reports. Although Twitter has yet to make a profit, the stock market valued the company at $23 billion. 6. And 2013 is on its way to becoming the driest calendar year on record in Northern California, the Chron reports. Since January 1, only 3.95 inches of rain has fallen in San Francisco.